Four Flights of Fancy: Make Your Own Arm Party - DIY Time! Make Your Own Arm Party - DIY Time! It was fun putting together all the arm party looks I've sported in yesterday's post, and I'm now even more excited to send out my friendship bracelets to my swap partners. 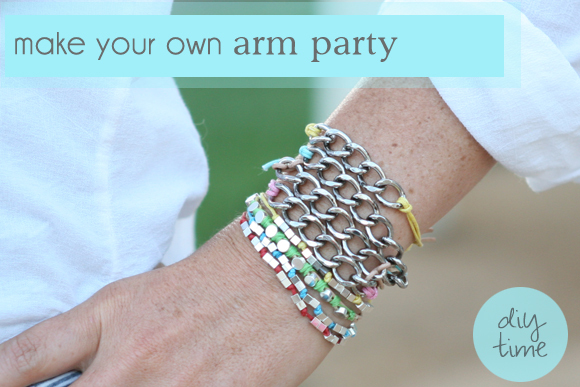 I hope it inspired you to get creative with your arm gear and have a party of your own. 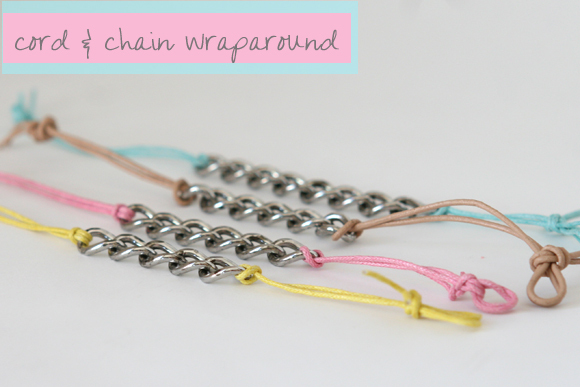 If so, I've created 3 new friendship bracelet/arm party tutorials to share with you all. 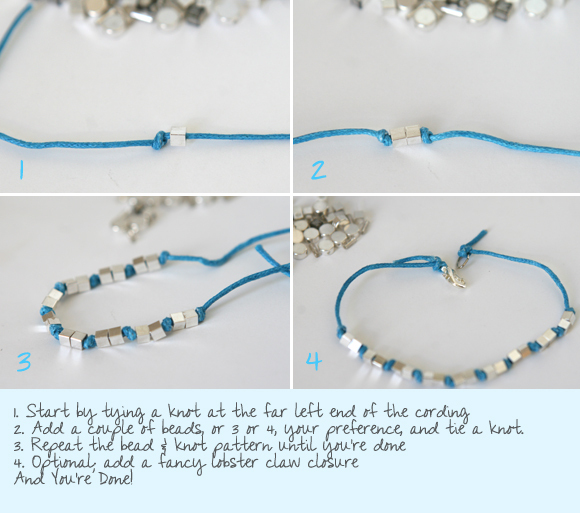 The best thing about these bracelets is that they're easy, cheap and fast to make. Feels so good to have some creative juices flowing again, but I've gotta tell you my fingers are sore! I think I'll be putting the bracelet making supplies away for a little bit and give my fingers a rest. In the meantime, here's some ideas to help you get your party started. 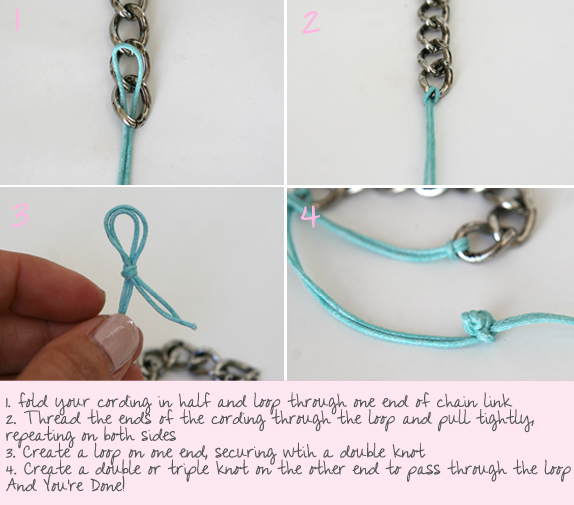 For this one all you'll need is your leftover chain link & cording from this tutorial. 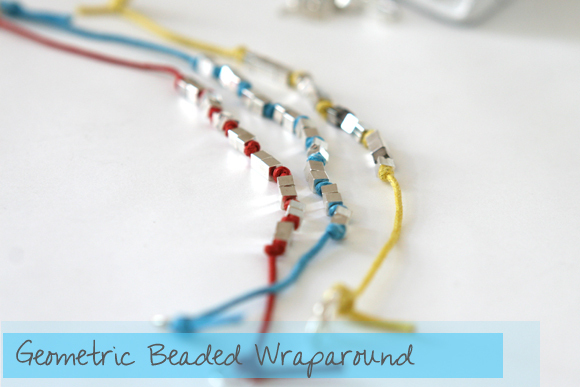 Cut 2 pieces of cording (per bracelet) about 12" in length so that you have plenty of room to work with. FYI, total cost breakdown for this project was less than $6 and so far I've made 6 bracelets with my supplies! Total time spent on each bracelet is less than 5 minutes. This bracelet is my personal favorite because I was finally able to find a way to use these geometric square beads I picked up a while ago. 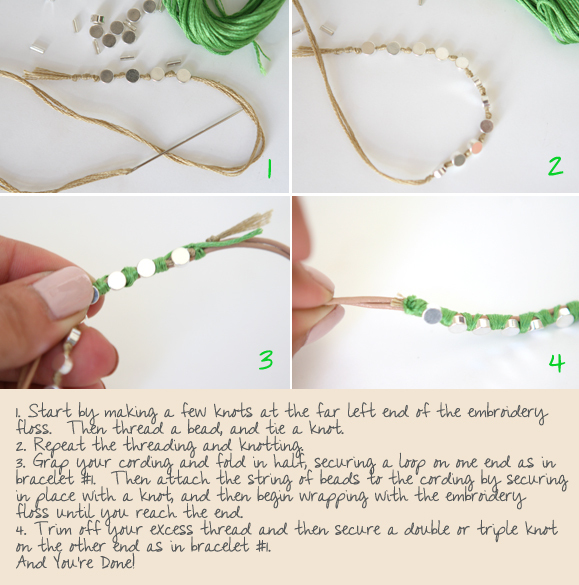 This bracelet is just as simple as the first one, requiring you to just do some knotting. You'll need about 22" of cording and some cool beads, but make sure the bead opening is large enough to fit the cording through. I gave mine a cleaner look by attaching a lobster claw & jump ring closure to the end, but this is purely optional. You can just use the same loop and knot technique as seen in tutorial #1 above. Total time spent on each bracelet was about 15 minutes and total cost was less than $3 each. Using the same wrapping technique from this tutorial, I added these round beads to some leather cording for more of a clean look. You'll just need some beads, embroidery floss and leather cording. Of course you can just as well use the cording from the previous tutorials, but I love the color and texture of the leather against the smooth & shiny beads. I cut my cording & embroidery floss 24" long. Total time spent on this bracelet was about 20 minutes (it takes a little longer to carefully wrap the string of beads) and total cost was less than $3 each. So which one is your favorite and are you most likely to try? I made a total of 8 bracelets in less than 2 hours, and that's with me taking photos along the way, so you can easily have a few of these done in a weekend afternoon. I hope you enjoyed these DIY's and please let me know if you try any! ok. stop it! 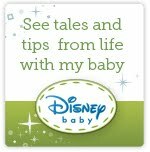 you have too many awesome tutorials!! i can't wait to have a girls night and make some of these. love them ALL. and your color choices are so fun! 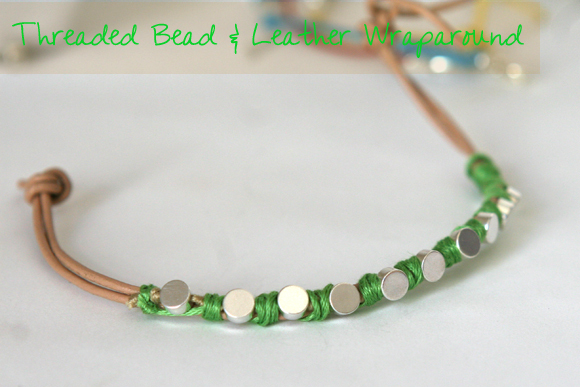 Love the threaded bead bracelet! Glad to know they are fast to make! Thanks for posting such a great tutorial! These are so so cute! I can NOT wait to make some. Actually.. they'd be great favors for my daughters bday party next month. Thanks for the awesome tutorial! I'm with Rachel - you know my birthday is coming up. I love the last one, where does one buy this stuff particularly the circle beads - love those! Also how does this one clasp? I'm no good with pliers which is honestly why I haven't tried any of the jewelry making. i love this! can you find all that stuff at michaels? i can't wait to make some for myself! thank you for sharing! plus the ones you made are so cute! love it! i will be sure to show you mine with i get the chance to make one....or i can just buy on from you?! those are very cool! 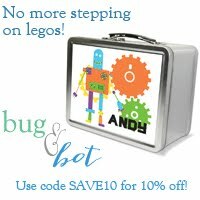 And easy enough to make some in every color! thanka again for sharing! Your idea is awesome. Every time I buy this type of bracelet from market. Well, your idea helps me lot and helps to save my money. Really it is very helpful idea. These are so great! Can't wait to try them! Thanks so much for stopping by my blog and commenting, or I would have never found you :) Love your blog!